It's been quite sometime since my last grocery fun post. This is due to the fact that Donna's been home for a few months and been doing the groceries during the week. This past weekend all five of us ventured out together. Quite the experience. 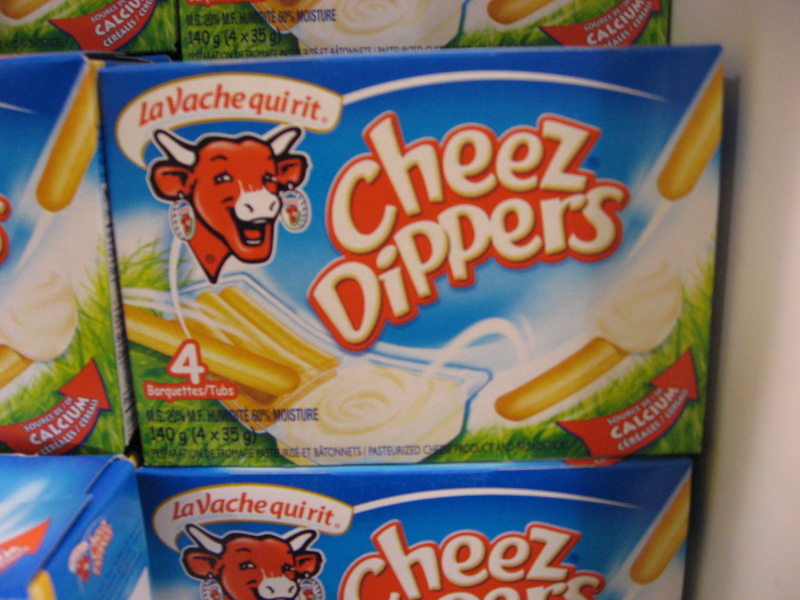 Obviously a Freudian slip on my part but I was sure that La Vache Qui Rit's new product was diapers made from cheese. Seemed a bit outside of their core business to say the least. I'm a simple man with simple needs and regular chips is one of them. I'll never understand or enjoy the bizarre flavor combinations that I first saw on trips to the USA. 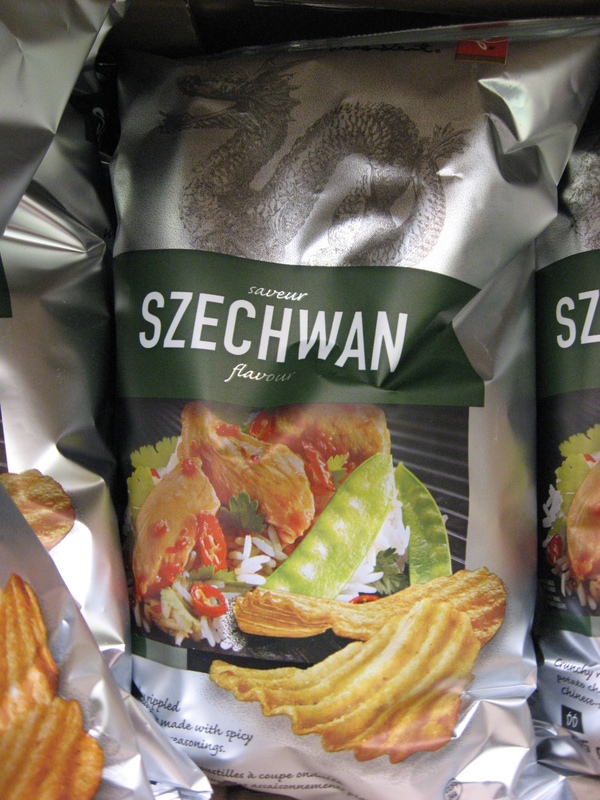 I like szechwan food, but as a chip? Luckily Donna goes in for this kind of stuff so I don't eat many chips since they are all some kind of weirdo flavor. 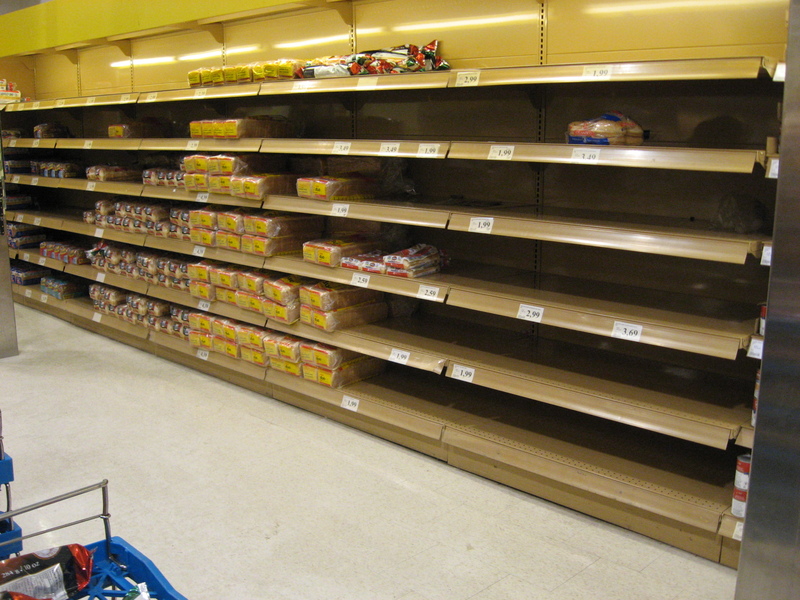 In Soviet Russia bread shortage gets you! I don't know that the story was but there was a huge shortage of bread products on our visit. While there was plenty of bread there was only two packages of six hot dog buns in the whole place. I guess lots of people eat hot dogs this holiday season. More examples of a down market economy? 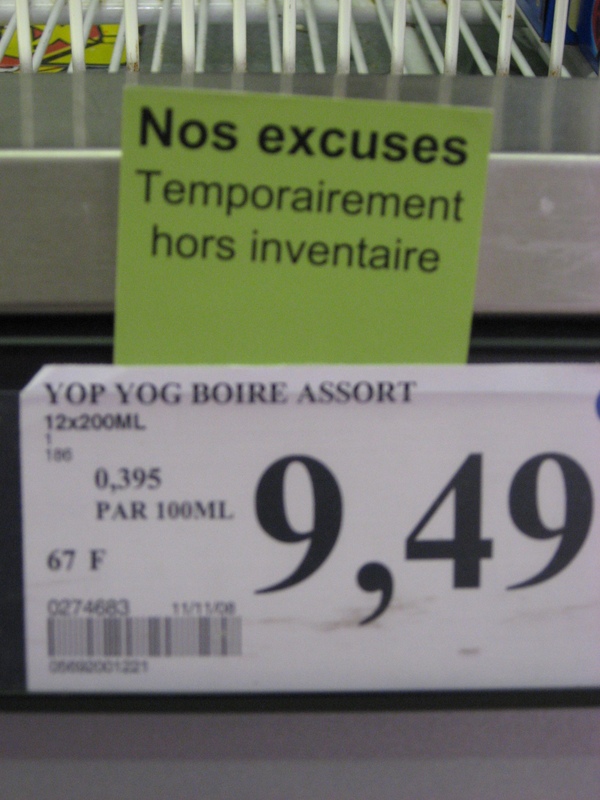 Not only that, but there was a noticeable amount of product that was out of stock. Very strange indeed. Probably just them getting rid of surplus from the holidays. Right? Agree with you on the weird chip flavours. Plain or salt and vinegar chips will do me just fine, thanks.